Maybe in the past few weeks you’ve become the proud owner of a new phone, tablet, or smartwatch. Or maybe you’re upgrading your home security, temperature control, or lighting system to a smart monitored one. 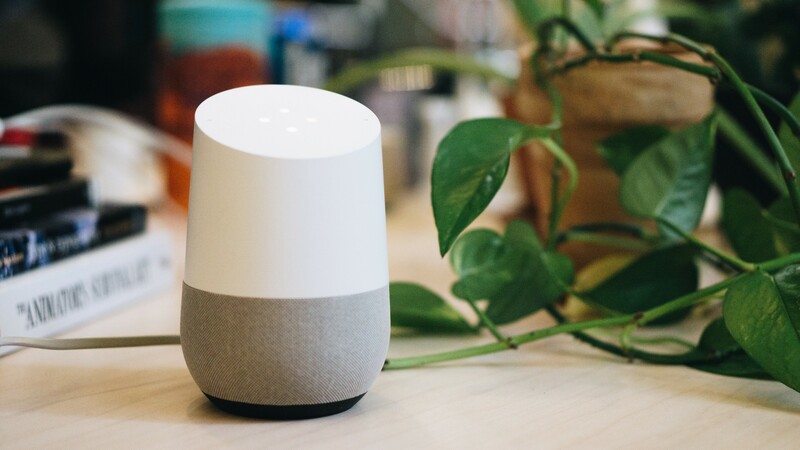 Or maybe, like the seemingly countless multitudes, you recently got a smart speaker to join the 41% of US consumers who owned a smart speaker in 2018. But it’s not only going to impact retail sales of sneakers or how we turn on our lights at home. In this era of rapid change, where technology is transforming nearly every aspect of our lives, we should expect it to start moving — and soon — from home and personal use to transforming some of our most staid and stolid institutions. Carrie Russell, Myplanet Advisor and a Fintech Leader with over 25 years of industry experience sees the coming technology changes as big influences in the way financial services will need to adapt for their customers. She says a major component of the transformation will be in how people conduct their banking, the ease with which they’re able to perform their transactions. There are great opportunities at every turn — especially in conversational interactions where financial institutions can be more readily available for a quick resolution. A recent study showed that 58% of the online content available in the financial services sector wasn’t connecting with users. Conversational interactions can help simplify the information flow and create meaning from confusion for customers. That means business-to-consumer connections will change, with more on-demand customer service coming into play that is facilitated, at least in part, through “smart” (i.e. machine learning and artificial intelligence) powered systems. Russell, who is also an independent advisor for Finn AI, cites the recent work Myplanet did with Finn AI as a prime example of this. Myplanet partnered together with Finn AI and Visa to create a solution to a common consumer problem — that of a missing credit card. Three separate entities came together to create a workable solution for customers. And it’s that kind of partnering across the ecosystem, particularly in the digital banking system, that is becoming necessary to achieve the kinds of outcomes consumers expect and demand. One of the most interesting changes to come from the shifts in the technology landscape for the financial sector won’t be in the novel application of technology, but in how these institutions approach bringing the technology to their businesses. Historically, banks have been like vaults (pardon the pun). Their technology is cloistered and proprietary and largely handled internally. There’s good reason for that, of course, as security is a top priority for banks. And as digital banking has become more standard, we’ve started to see small shifts away from this — design partners helping to build out app experiences, for example. But what we’re going to see in the years to come will be a massive shift in the way banks partner and create. Of course, those financial organizations will still need to be thoughtful about the way they approach bringing digital solutions to these interactions to ensure customer trust is upheld and customer experience really is improved. But there is not doubt that thoughtful, carefully planned partnerships will be a major part of that. The most impactful changes for consumers will result from the careful and intelligent inclusion of machine learning into the experiences being created within the financial sector. And that will require external vendors to partner with banks to overcome the structural challenges the industry is facing today. In the short term, things like conversational interfaces will have a significant impact on the basic user experience. But over time, as machine learning and artificial intelligence improve those experiences to make them significantly more personal and relevant to the individual, we’ll start to see the real value transformations to the sector. “A lot of our systems are super old, but they have a lot of our data,” says Russell. “Putting that information into big data warehouses or data marts and data pools is actually incredible expensive to maintain.” That is a massive sunk cost. When we use the data to make more meaningful connections far beyond what any one person could manage on their own, that’s where we’ll start to see the real difference in the financial offerings. Everything consumers experience from their financial services provider — from qualifying to onboarding to credit card management to small business loans — will be impacted by the data-enabled insights. But it won’t just impact consumers. It will transform the financial sector from the inside out. Because as noted above, making those meaningful connections will require collaboration and a willingness to partner with experts in various areas of the fintech field to create the kinds of future-ready solutions that will make a real difference. Opening up communication and collaboration channels, finding the right partners, putting user needs above centralized knowledge and power structures — these are the things that will start the cascade of changes consumers will be impacted by. It’s becoming almost trite to say that technology is colouring every part of lives. But it is true. And as conversational interfaces and other technologies move into our homes and shift our day-to-day expectations of how we experience the world around us, financial service providers will need to shift, too. Thanks for reading! Be sure to share it with your friends and hit the 👏 so others can find it (and share it with their friends!). Interested in what AI can do for your business? Speak to one of our team members today.